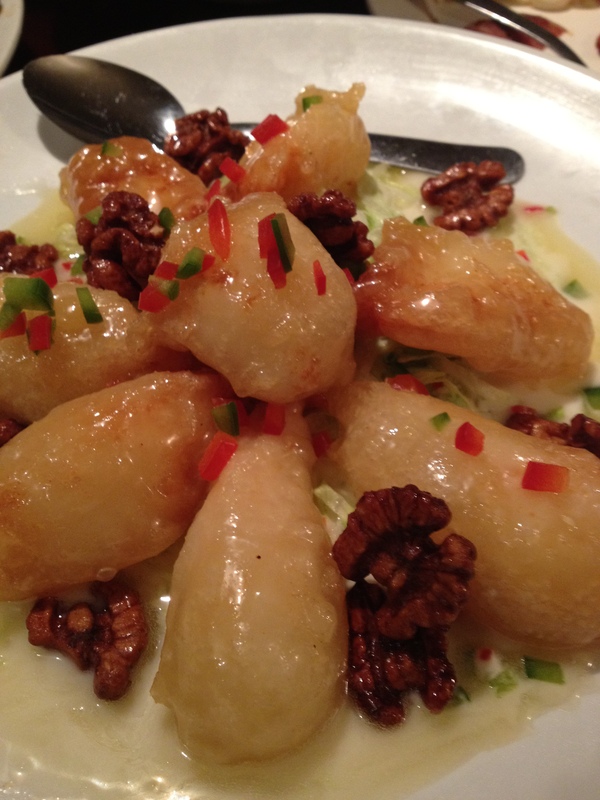 For those of you living in or around Philadelphia, you HAVE to try Han Dynasty. For those of you not near Philly, i apologize in advance because you’re about to be VERY jealous! 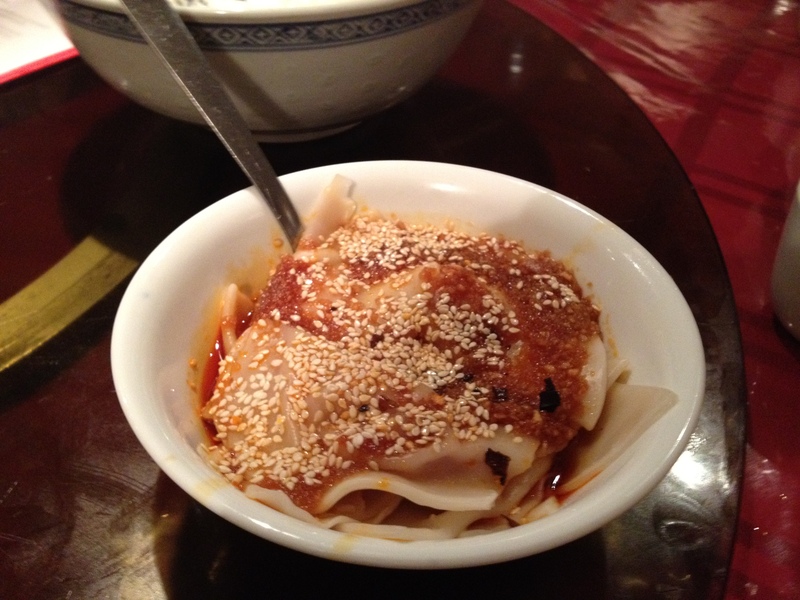 Han Dynasty is a small Chinese restaurant in Old City Philadephia (there are a few other locations now, including University City & Manayunk!) that on the first Monday of every Month does a TWENTY-COURSE tasting. Yes. You did hear me right. TWENTY COURSES. Holy hell! I have actually done this once before with my friend Ricki (I ate my meal next to her friend from med school who happened to be a Prince from the middle east… I had no clue) and I could not wait to come back. My friends Mer & Mike (from Moho Creative, remember?) 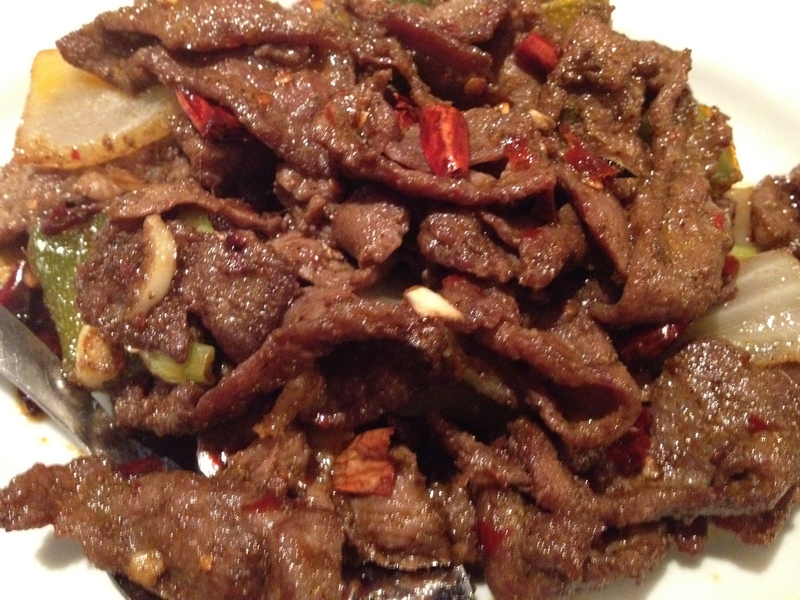 are huge fans of Han Dynasty and helped me put together a nice group of people to do the tasting for July. Here’s how it works: You get 20 dishes, for $25 cash. Each of them come out at different times onto the middle of a lazy susan and everyone takes a few bites of each. 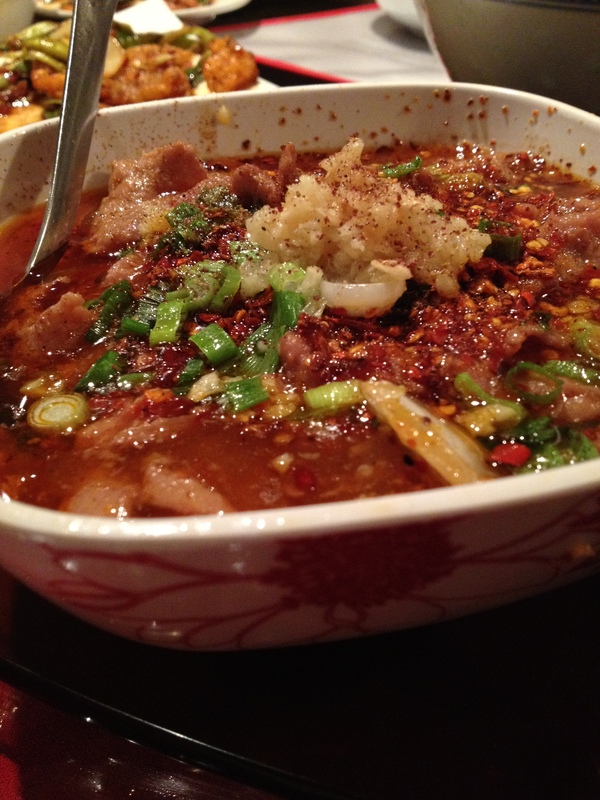 Han Dynasty is known for their Dan Dan Noodles & of course their SPICY food. 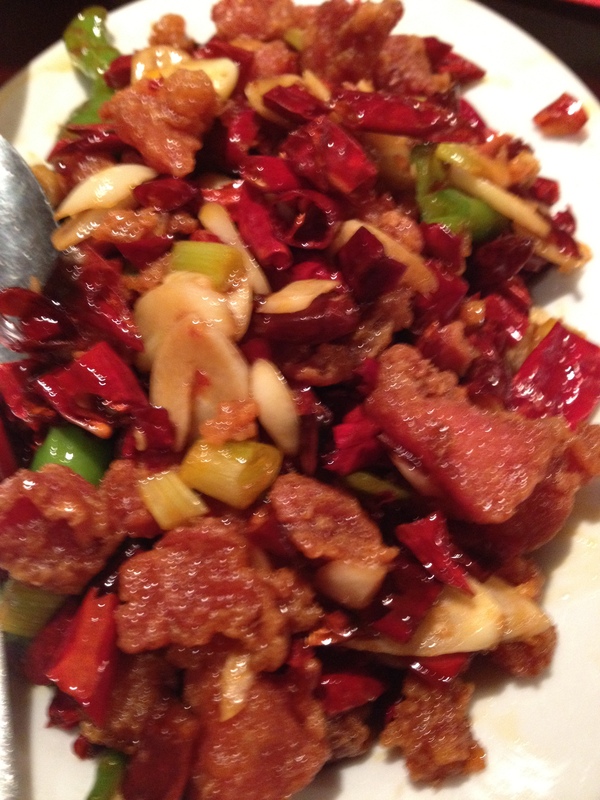 Each dish has a spice-rating from 1-10. 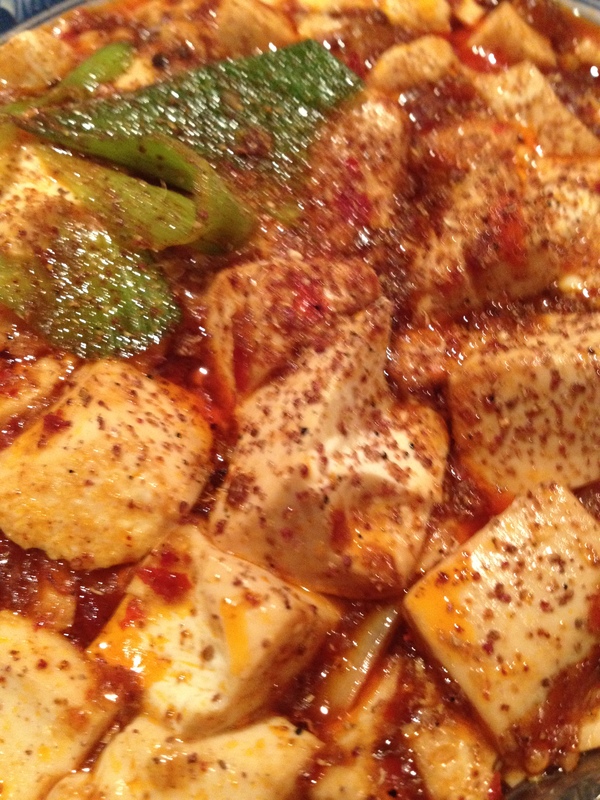 Everything is cooked in chili oil. HOT! 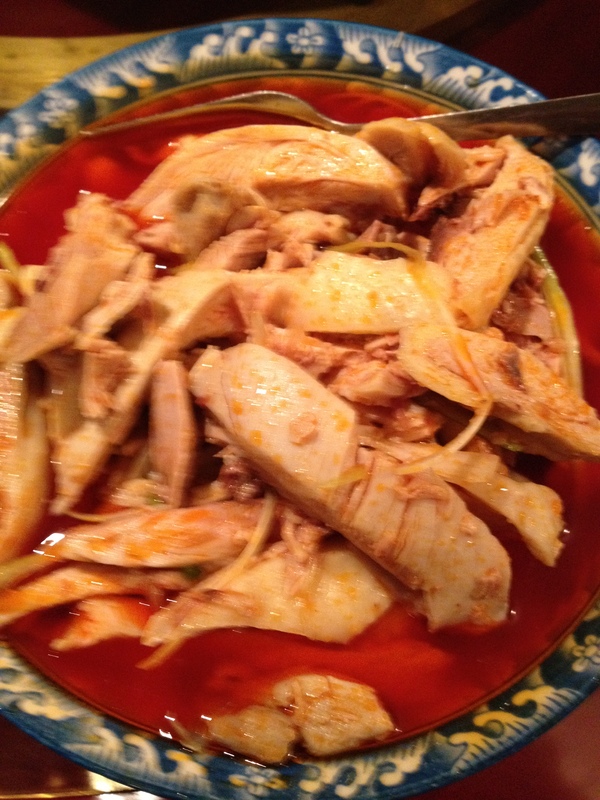 Chicken in Chili Oil… this one was served cold. Nice simple start but spicy! 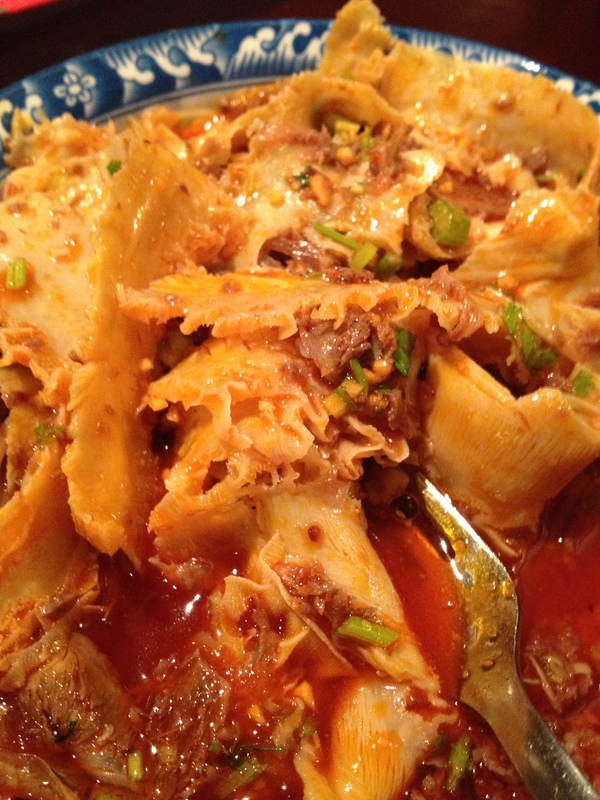 This one was Beef with Tripe. 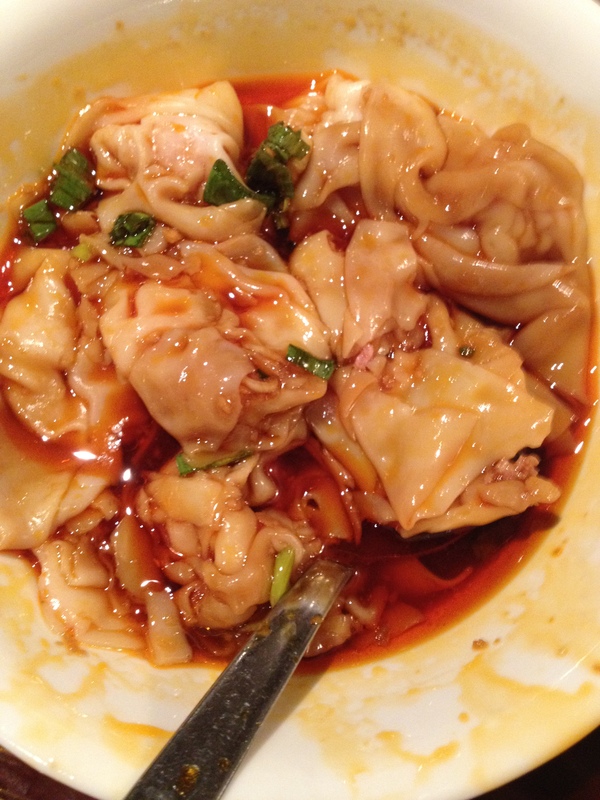 I tried the tripe the first time I did this… and did not want to try it again! But everyone else did! 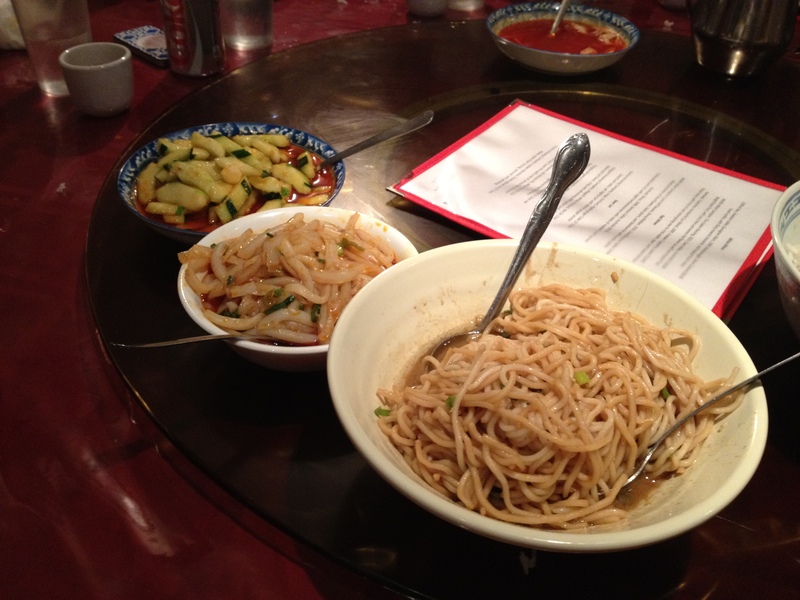 Here, we have Green Bean Noodles in Chili Oil, Cucumber in Chili Oil, and Cold Sesame Noodles. 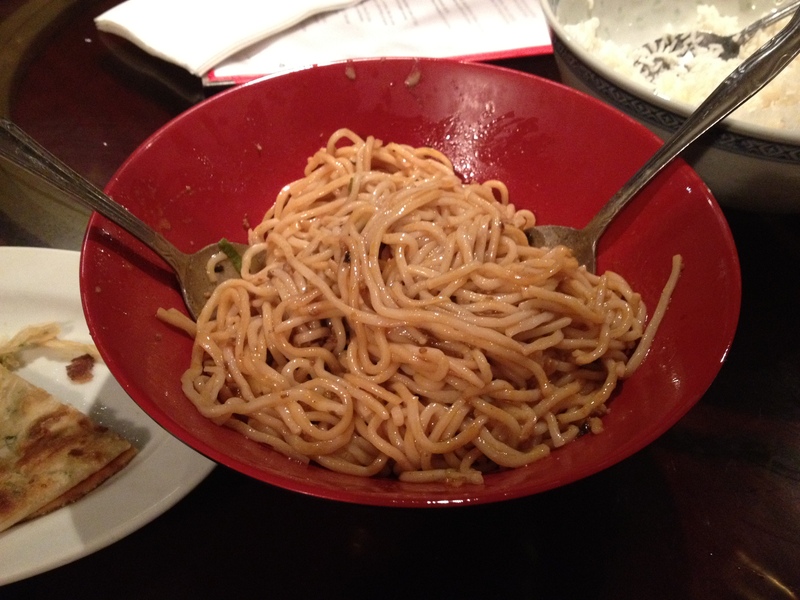 The Cucumber is awesome, it is a nice break from the super spicy stuff… and the sesame noodles are DELISH. 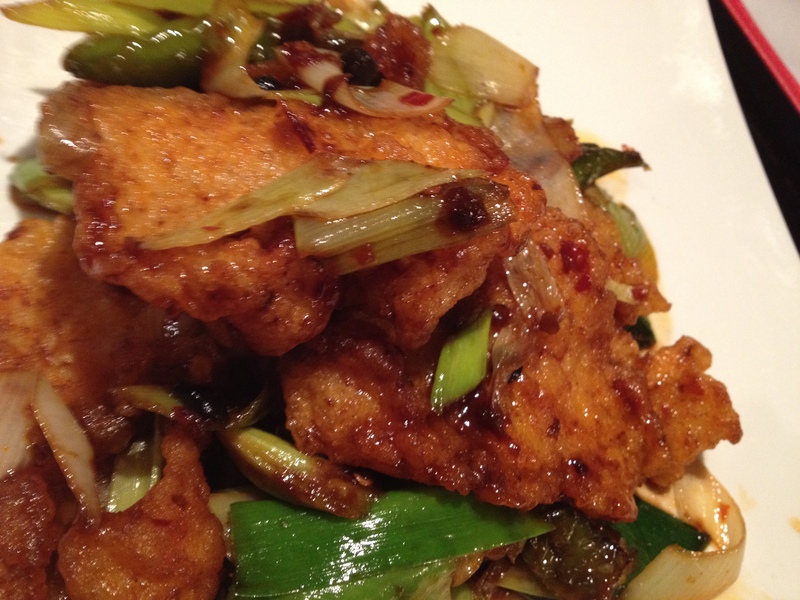 some kind of spicy chicken dish… I missed the name of this one! Bad food blogger, bad! 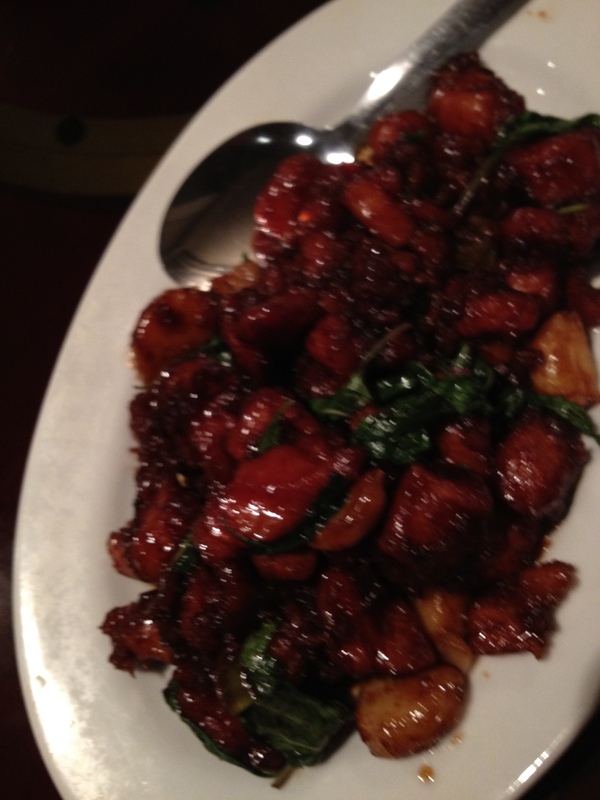 This was definitely NOT as good as the first time I did the 20-course tasting at Han’s. We only got 17 courses (okay, its still a ton but not 20?!) and the service was TERRIBLE. The whole thing took almost 2.5 hours, if not that. There were a few points in the meal where we waited at least 20 minutes between courses. They were not very good about refilling our waters- very important considering the mass amounts of chili oil that we were consuming. There were a few other strange encounters, one being Han yelling at a member of our table… the other being our waiter telling us tip was not included, then proceeding to count out the cash we gave him in front of us. Weird. 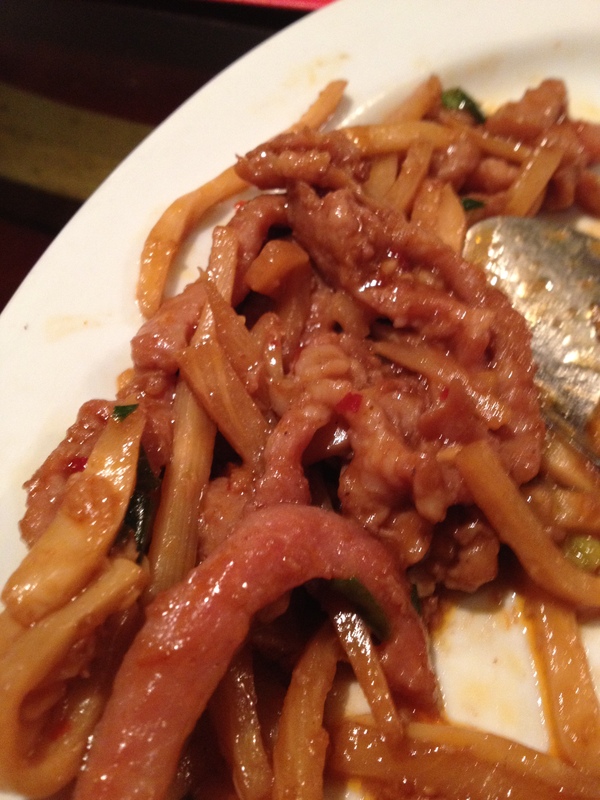 With all of this being said… I think that this was a fluke though, the food at Han Dynasty is absolutely fantastic. I highly recommend trying it out for a regular dinner first. Mer and Mike have been here maybe six times in the short few months they’ve been living in Philly. It’s that good.